Empowerment starts with you and moves outward. Whether you want to become empowered personally or professionally, helping others become self-sufficient, self-reliant, and self-guided becomes second nature once you discover those qualities for yourself. Here are our ideas for being and then spreading the change you want to see. You can’t empower others until you’ve empowered yourself. Feeling confident and capable allows you to get closer to your dreams and to love the journey. Take a moment to define what the word means to you, how you’ve experienced it, and who shared it with you (if applicable). Exercise: Create two columns on a piece of paper. Label the first column “passion” and the other “expertise.” Write down your personal passions and expertise under the appropriate columns. Compare the two lists and see which items intersect to help you successfully expand your own vision. Try diffusing Build Your Dream™ or Highest Potential™ essential oil blends during this exercise for added support. When you feel empowered, you are able to share that gift with others by inspiring them to seek empowerment for themselves. 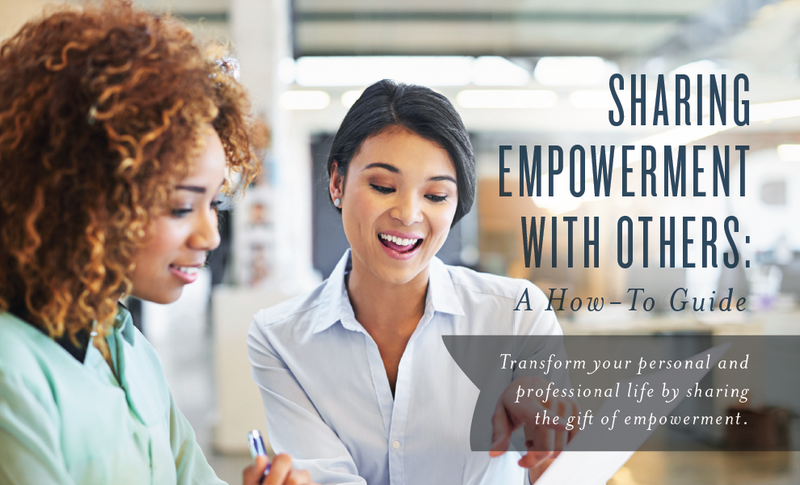 From family members and friends to close members of your downline, this exercise can help anyone you are trying to share empowerment with, not only allowing them to become more successful but also strengthening your relationship. Exercise: It can sometimes be difficult to express appreciation for others, but few things are as affirming and confidence-building as a kind word. Each day this week, make it a point to offer a sincere compliment to someone close to you, whether a family member, friend, coworker, or neighbor. 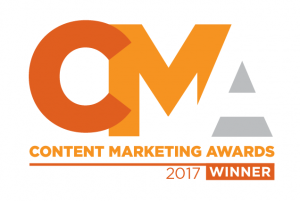 Offer comments that highlight something meaningful about them. Watch these relationships become instantly more positive and these individuals instantly become more empowered. Remember to start your morning by diffusing Gratitude™ essential oil blend. Empowering your extended and professional circles is a natural next step after empowering your personal circle. For many Young Living members, that means being a leader and inspiring your team. While stepping up to this role can feel intimidating, there are some key behaviors that are sure to make your organization feel empowered and its individuals feel confident and capable. Exercise: For each week in the coming month, focus on fine-tuning one of these key tools for empowering your team. Within a month’s time, members of your team will feel more able to tackle tough challenges, meet goals, and share Young Living with others. These empowerment techniques look different for every leader, so make them your own! Share information and your personal experiences. This helps builds trust and a personal bond between you and others and inspires people to make the best decisions possible in tough situations. Help them form clear goals and objectives. Encourage them to create a framework that will help them stay on track and achieve their goals. Create an environment that celebrates both successes and failures. Don’t just celebrate success. Celebrate when risks are taken and let them know that failures are okay. Even if they didn’t get where they wanted to go, they may learn a valuable lesson that can help them find future success. 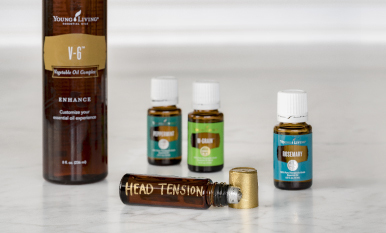 As your team members achieve the goals you helped them set, show them you appreciate their hard work by gifting them a favorite Young Living product, such as a popular essential oil, a diffuser, or a collection of oils. Being empowered can create a chain reaction of empowerment that can transform your personal and professional life. What makes you feel empowered? Let us know in the comments. How can one bottle hold so many cleaning solutions? 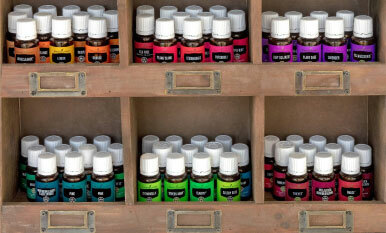 We all love our little amber bottles of essential oils, but do you know the best ways to store them?